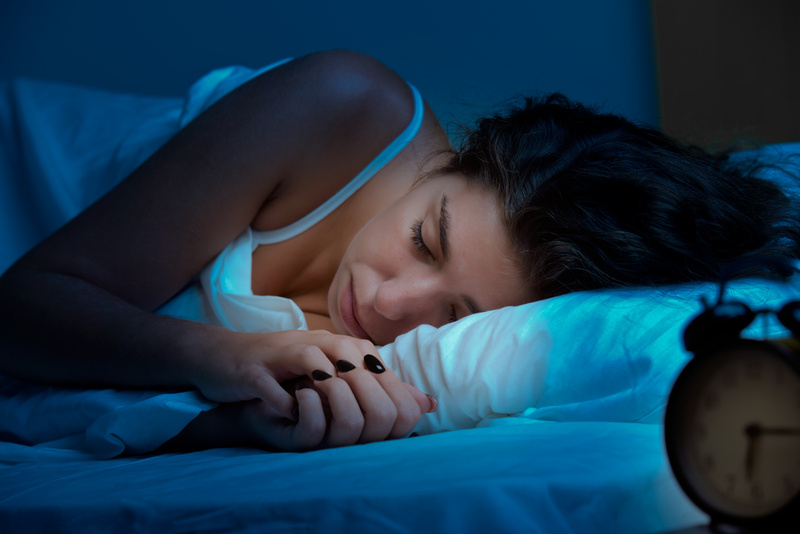 With 1 in 3 of us not getting a good night’s sleep there is plenty of room for improvement! The good news is that the rewards are well worth it! Getting a good night’s sleep boosts your immune system, improves your cognitive functions so you can solve problems faster, helps you retain more positive memories and helps maintain a healthy weight. So it’s well worth prioritising! Many of the reasons we struggle to sleep aren’t to do with our bedtime routine, they are to do with what is happening during the day. So here at Inspired to Change we have compiled our favourite tips to make sure you wake up feeling refreshed and restored every morning! Blue light from your mobile phone or tablet supresses production of a hormone called melatonin which tells our brain it’s ready to switch off and go to sleep. Turning off your tech an hour before bed is a good way to make sure your body is getting the right bedtime signals rather than being stimulated by the constant flow of information from your phone. If you really can’t bear to turn your phone off then put it on the ‘night shift’ mode which reduces the blue light, and also consider setting up ‘Do Not Disturb’ after a specific time (that way only important calls and messages from chosen contacts will make it through). It’s important to give yourself some wind down time so you don’t get to bed with your head spinning round with lots of information. Try and do something relaxing in that last hour before bed. Read a book, drink a chamomile tea, do some yoga specially designed for bedtime, chat with the family, do a mindfulness activity like colouring or a craft, anything that switches your brain off from all the activity of the day. Your bedroom should be a relaxing place for you to sleep (oh, yes, and one other thing!). If it is also a place where we watch TV or browse the internet then there is no clear routine for our brain that says “ah, we’re in the bedroom, it must be time for sleep”. So do a little bedroom makeover and focus on making it comfortable, relaxing and the perfect place to rest your head for a good night’s sleep. Our brain loves routines as it helps it to know what’s coming next. If we have the same bedtime routine most nights then the small little things you start doing right at the beginning of the routine trigger your brain to take action towards the things later along the routine chain. So if your bedtime routine starts an hour before bed with you switching off your mobile, reading a few pages of a book, having a relaxing bath and then going to bed, your brain already starts the process of winding down for bed the minute you turn your phone off so it’s not a struggle to get to sleep when it’s time to turn the light off. When someone asks you “How was your day?” what tends to come up as your first response? Do you share all the things that went well, or do you find yourself telling your other half about that boring meeting, the terrible traffic and that awful email from your boss? Our brain tends to prioritise those negative events over the positive ones as it sees them as potential threats. If our brain is spinning with negative thoughts before we head off to bed our brain builds a very negative picture of our day and even struggles to form our memories about the positive bits. Shift your brain’s focus to the good bits of your day by writing down one good thing that happens every single day and start to notice how that becomes your memory of the day rather than the negative bits. Doing this task for just 30 days is enough to retrain your brain to scan throughout the day looking for those positive things, meaning less of the negative information for your brain to process at night. We all love something to look forward to – a holiday, meeting up with friends, a day out – and our brain loves having things to look forward to as well! And they don’t have to be big things either – your favourite packed lunch, a quick chat with your partner at lunch time, an afternoon coffee shop treat. When we give our brain things to look forward to it benefits us in a few ways. Firstly that afternoon coffee shop treat becomes your focus for the day, not that meeting with your boss that you’ve been worried about. Secondly, our brain releases more serotonin, our feel good hormone, in anticipation of the event. And thirdly going to sleep with something in our mind that we are looking forward to the next day calms down our stress response to make it easier to get to sleep and stay asleep. Tip 7 – Have some hypnotherapy! Of course we’re going to say that aren’t we but if you know Inspired to Change you’ll know that we never say anything unless it’s backed up by the science! Just 20 minutes of hypnotherapy is the equivalent of 4 hours sleep, giving your brain plenty of processing time but not at the expense of your restorative sleep, so you can wake up feeling refreshed and restored ready to take on your day! But don’t worry, you don’t have to take a hypnotherapist with you to bed every night (that really would be weird! ), at Inspired to Change we give all our clients are guided relaxation to listen to every night so they can get the benefits without needing us sat on the end of their bed! If you you are struggling to get a good night’s sleep then perhaps it’s time to get in touch to book your FREE initial consultation with your local Inspired to Change hypnotherapist. Inspired to Change Hypnotherapists are based across the UK in Peterborough, Northamptonshire, Cambridgeshire, Leicestershire, Devon, Norfolk and Kent. PreviousWhy is Sleep so Important? Dream of Sticking to a Healthy Diet?